‘Scotland in the United Kingdom: An Enduring Settlement’? The Scotland Act 2016 makes extensive changes to the Scottish devolution settlement in implementation of the Vow made by the leaders the three main political parties at Westminster in the final days of the referendum campaign. This chapter outlines the principal changes made to the settlement by the new Scotland Act and asks whether it provides the basis for an enduring settlement between Scotland and the rest of the United Kingdom. The Scottish constitutional debate has been largely about ‘self-rule’ rather than ‘shared rule’: the acquisition by Scotland of control over its ‘own affairs’ rather than Scotland’s ‘voice’ in relation to ‘reserved matters’, i.e. those matters which continue to be dealt with at the UK level of government. 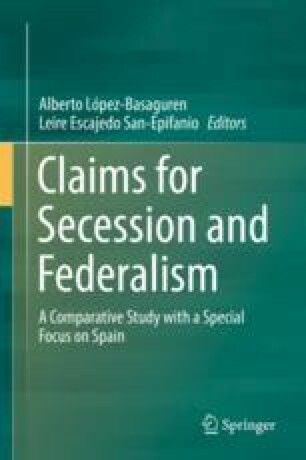 The model on which the original devolution settlement was based was one of dual rather than cooperative federalism in which decisions in relation to reserved matters would continue to be taken in much the same way as before. Intergovernmental relations provide one means by which the devolved administrations may seek to influence reserved matters, but ‘intergovernmental relations in the UK remain weakly institutionalized and more ad hoc than is the case in more established federal political systems, and provide only limited opportunities to participate in UK decision-making’. The revised settlement will put a premium on cooperation between the two levels of government, particularly in the field of welfare. Whether that will materialise, and with it, a different—more cooperative, less centre-dominated—mind set at the heart of government remains to be seen. On that, however, the success of the revised settlement may well depend.